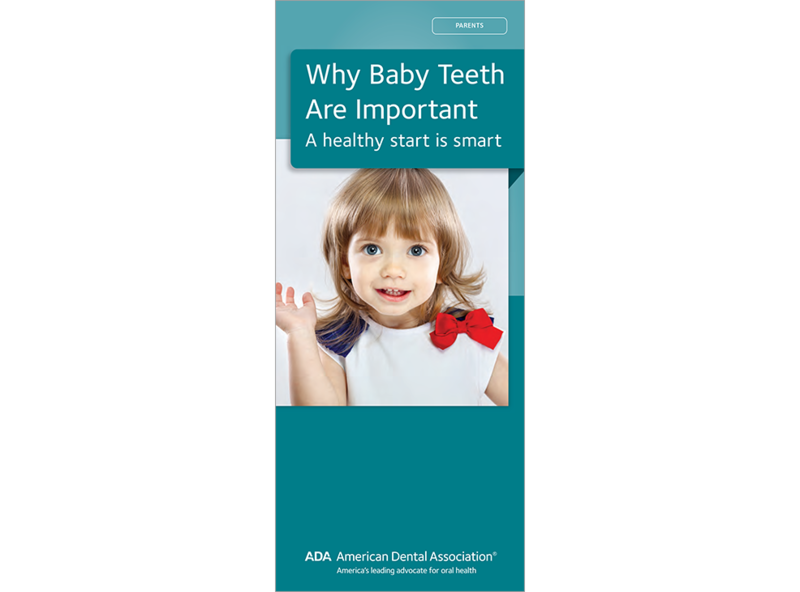 Caring for baby teeth may not be top-of-mind for parents. This brochure directs their attention to caries prevention and the big-picture role of primary teeth. Provides tips for home care and includes tooth decay photos and a primary dentition chart. Advises parents against serving sugary liquids in the bottle. Minimum order 150. Click Add to Cart then personalize for free. Now you can add personalized information on the front, back, or both covers on all brochures.